IPMAP was founded by Jack Lu, PhD, CFA, an IP economist and financial analyst with engineering background and research credentials. Developed from the team’s research and consulting over the past 30 years, IPMAP designs and implements strategies to promote technology diffusion, monetize IP assets, and facilitate market transactions. 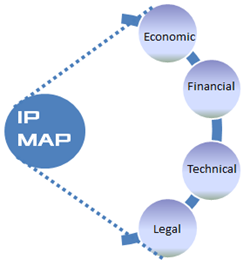 IPMAP offers customized IP solutions and business advisories to all players in licensing market, transaction market, capital market, and litigation market.